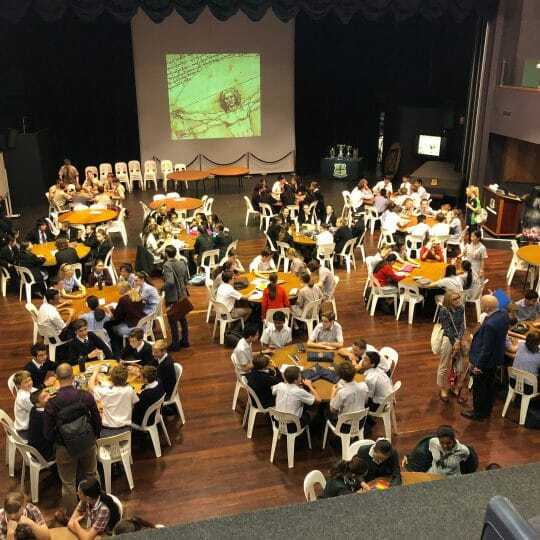 Ad Astra, a new Christ Church initiative held at St George’s College last week, offered boys strategies and guidelines to help cope with the intensity of Years 11, 12 and beyond. Developed by the School’s Academic Committee, speakers included academic staff, old boys and the Vice-Chancellor of UWA. 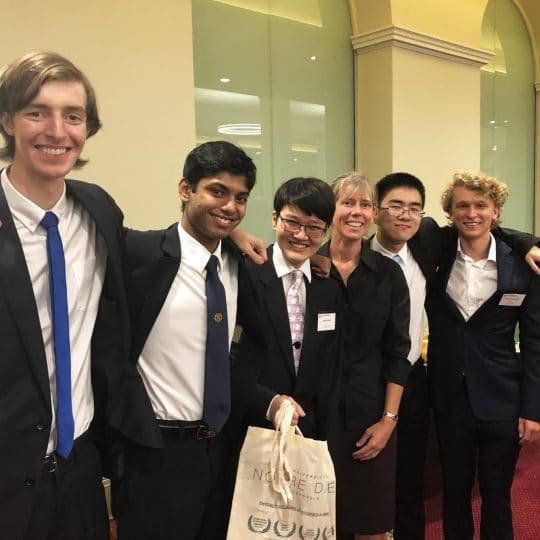 Director of Studies Margaret Brophy said the daylong event for Year 11 boys encouraged them to make the most of their final two years of school. “This is the time to maximise their potential and set themselves up for future life,” she said. The day provided an opportunity for boys to gain inspiration from a range of speakers and ‘opt in’ to a number of interactive sessions led by subject specialists. The School was delighted to secure an off-campus site for Ad Astra (which means ‘towards stars’ or ‘towards excellence’ in Latin) thanks to its relationship with former staff member Ian Hardy, who is Warden of St George’s College. Vice-Chancellor of UWA Paul Johnson, who was the keynote speaker, talked about academic excellence and being a ‘moral man’. Professor Johnson reminded boys that in exactly two years’ time, many of them would be attending their first lectures at university like some of the old boys they had bumped into at St George’s College that morning. Director of Pedagogy Sharyn Bana spoke about getting the best out of your brain and revision strategies; Ms Brophy discussed the complexity of the assessment policy and schedule; and school psychologists Anne Angelkovska and Michael Ralph gave valuable advice on psychological health. Ms Brophy said a number of different teachers had worked together to design the program for the day, which included opt-in sessions in English, mathematics, science, humanities and languages as well as service, IT and useful apps, and maintaining a healthy lifestyle. The final session of the day was an old boy panel, who shared their experiences post Christ Church. 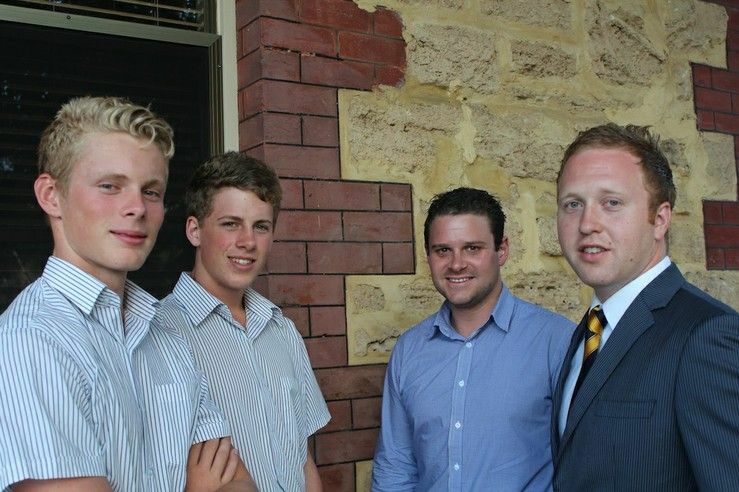 The old boys, who included James Balfour (2002), Matt Caddy (2003), Yannick Spencer (2005) and Chris Webster (1999), had each taken varied paths after school ranging from gap years to playing football, work and study. There were plenty of questions from the Year 11 boys for the old boys. Ms Brophy said the graduates all agreed that the boys already had a head start because they went to Christ Church. “The other common theme was being answerable only to yourself and choosing your own path,” she said. In the evening, parents were invited to attend their own version of the Ad Astra initiative in the Senior Staff Common Room. This gave parents a chance to gain some of the same insights as their sons. 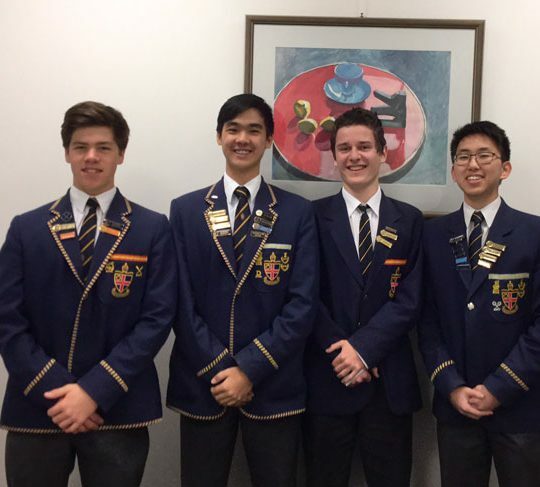 Six Year 11 boys shared their personal experience with parents, along with Ms Brophy and Ms Bana, who also presented.